Video featuring drivers Jenson Button and Fernando Alonso first part of campaign to celebrate long-term global partnership between the brands. Australian PR firm Red Agency has launched the new partnership between winemaker Chandon and F1team McLaren-Honda with a race between team drivers Fernando Alonso and Jenson Button. Following a competitive pitch in December last year, Red Agency was hired to handle all marketing and communications around launching the two brands’ tie-up. To that end, the agency launched the first piece of content of its campaign yesterday in time to celebrate the Australian Grand Prix. The race was the official launch of Chandon and McLaren-Honda’s global partnership. 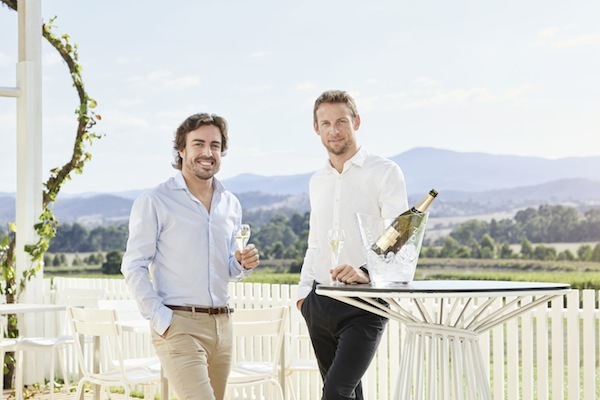 The video sees Button and Alonso race each other through a series of challenges and using a variety of vehicles against the backdrop of the Domaine Chandon winery in Yarra Valley, Australia. "Our idea was to create tension and excitement with some fun challenges for the boys but equally bring the Chandon spirit to life through a feeling of style and spontaneity throughout," said James Wright, managing director of Red Agency. Ashley Powell, marketing director at Chandon said: "Australia is the first Chandon market to work with McLaren-Honda and we’re thrilled to be able to launch our partnership with such a vibrant and unique piece of content. "Fernando and Jenson were great to work with. They both can be a bit competitive and are known for having a bit of fun, so our content idea worked perfectly!"